Whose arms are you holding up? The Amalek were at war with God and the people of Israel. The freedom God promised Israel wasn’t without its challenges, but He was with them and He went before them. 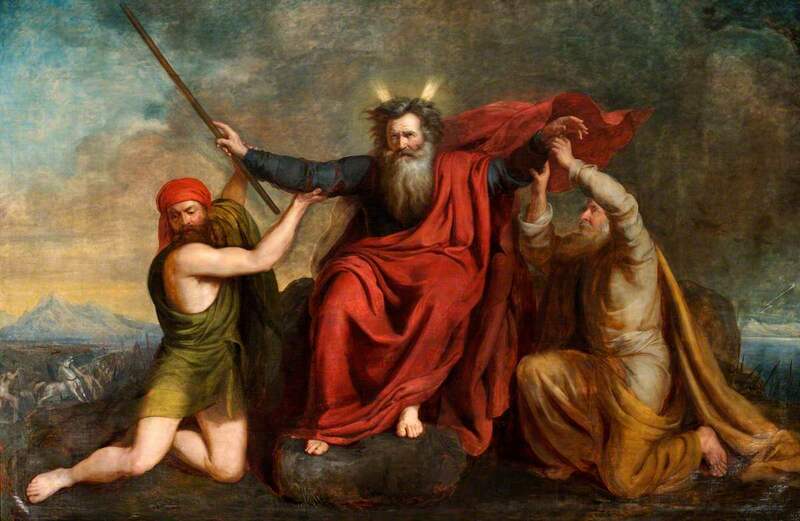 Moses had the element of success; as he held his staff high, the Israelites were experiencing victory. Left by himself, Moses reached his limit physically and mentally and could not proceed. At that point, his fellow sojourners were there to assist him. This is an important principle as we are being comforted by disagreements in various matters. The enemy, the flesh, and the cunningness of the world is at war with our God and we are caught in the middle. Whose arms can you be holding up? Who is holding your arms up? It could be the pastor needing his flock to support him in the work of the ministry, a husband looking for affirmation that he is doing what’s right for his family, a wife in need of prayer, a child struggling with a bully. We don’t know the impact of this type of unity or the solid foundation it creates, until we reach out and hold each other’s arms in the fight.